If you want to pressurise the Fermentasaurus, this special pressure lid includes a pressure relief valve and stainless ball lock posts (these are the same posts that are on our AEB kegs). 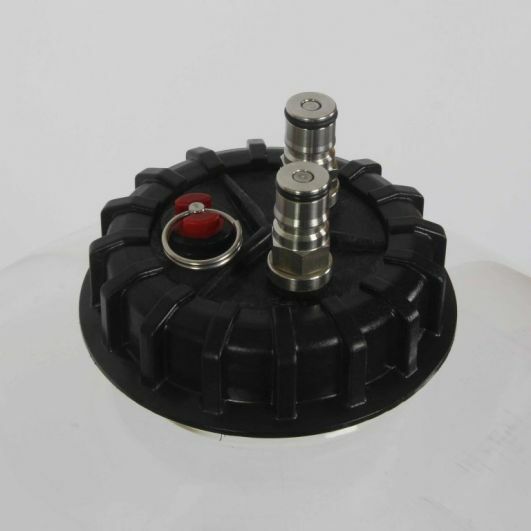 This special pressurisable lid is also supplied with a silicon dip tube with float. 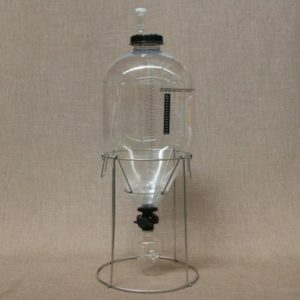 The floating dip tube is a design that when the product is drawn out of the Fermentasaurus it is always drawn from the top where the beer is most clear. 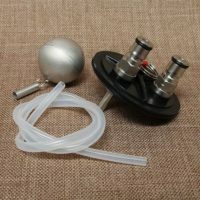 This greatly improves the speed at which you can drink clear beer directly from the fermenter, even when the yeast hasn’t completely settled to the bottom.